Wood is a favorite flooring option among homeowners and interior designers. Aside from its classy and, at the same time, cozy feel, wood is cheaper than other materials and is environmentally friendly. Hardwood, especially, is prized in interior design for its hardiness and the elegant and stately look it gives to any room. 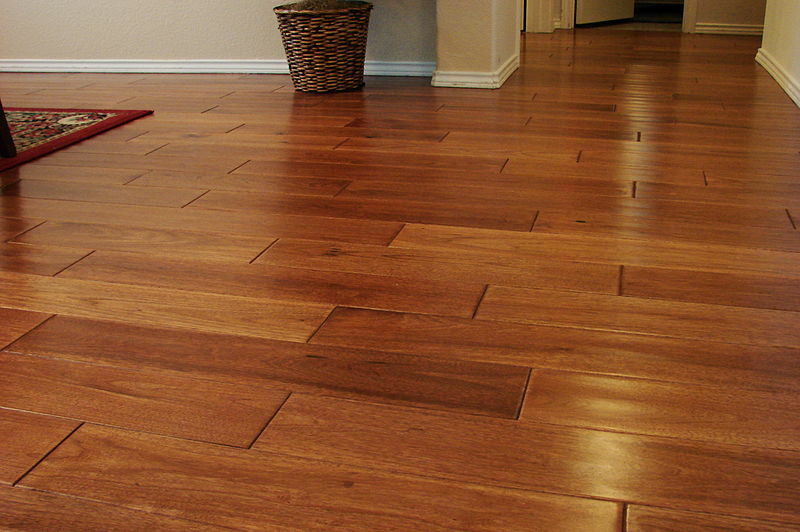 Hardwood floors are durable, and when they are maintained or cleaned regularly, they do not need to be replaced for a long time or at all. But of course, this is difficult to do sometimes. You may be too busy, but if you want your hardwood floors to keep that gloss and always look new, you have to set regular intervals for cleaning. A dry cloth, brooms, hardwood floor mops, cleaners, and polishers are some of the usual tools for cleaning. But one shouldn’t use any of these materials haphazardly, though. All sorts of nasty stains can stick to your hardwood floor, but there are different ways of removing them. You should be careful to consider the type of stain before dumping just any kind of cleaning agent on the floor. There are good cleaning practices and bad ones. You should be able to know what these bad practices are to avoid committing a heinous crime on your beautiful hardwood floor. This infographic will show you the best ways and tools to keep your hardwood floors pristine and polished. Schedules depending on the type of cleaning you need to do are also in the infographic. Happy reading and happy cleaning!